Gianluigi Donnarumma’s decision to not renew his contract with Milan may have shocked the football world, but there is still plenty to be positive about in the Rossoneri camp. Rossella Marrai-Ricco takes a look at why the fans can remain excited for the coming season. It’s been a transfer market unlike recent years… While former CEO Adriano Galliani would still be wining and dining agents at Giannino Restaurant, hoping to woo potential clients with Italy’s fine cuisine and a good class of vino, Milan’s new management of Marco Fassone and Massimiliano Mirabelli have been tacking the bull by the horns. The former Inter duo has, undoubtedly, been two of the hardest working men over the course of the off-season, and it’s only the start... Below, are five reasons why there is plenty to look forward to regardless of what happens with Donnarumma. “Gigio” and Raiola did their best to delay the process, but Milan held their own and demanded an answer by 14 June - they were not going to be held hostage by a teenager and his advisor. When Gigio’s choice was eventually communicated via his agent, Fassone and Mirabelli hosted a press conference as quickly as 17 minutes after the meeting’s conclusion. From the get-go, the communications department has instilled a new dynamic and transparent approach, and it has taken the club’s professionalism to a whole new level. The fans and the media have warmly received their quick and open response to matters, and it was evident in the manner in which they didn’t shy away from announcing Donnarumma’s future. Two weeks still remain before the transfer window officially opens, but Milan have already started to build a competitive squad for next season. 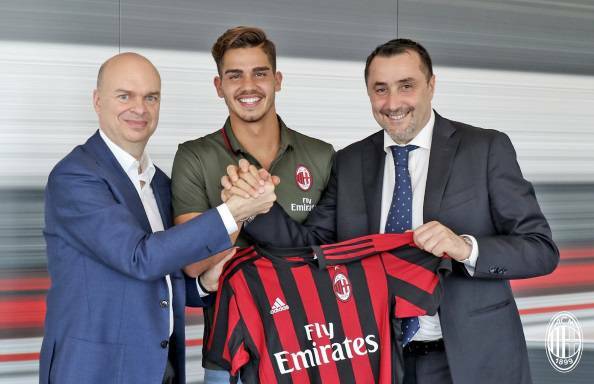 Knowing full well that the Rossoneri’s season begins a month before most clubs – Europa League qualifiers will be played on 27 July – the scouting department has been bending over backwards to sign exciting talents to the team. Long-term target Mateo Musacchio was the first to undergo a medical at Milan – a week before the Serie A season had even ended – and his arrival was only the beginning of what is to be considered one of the greatest transfer windows in a long time. Ivory Coast’s most promising youngster Frank Kessie was then snapped up on a two-year loan from Atalanta, while Ricardo Rodriguez and Andre Silva were bought from Wolfsburg and Porto respectively. The latter’s transfer fee of €35 million saw him become Milan’s second highest acquisition – his fellow countryman Manuel Rui Costa has held the record for 16 years. What has been most impressive, though, is how management fended off stiff competition for Kessie and Silva’s signatures, while they also managed to complete a deal Galliani couldn’t do in Musacchio. The arrival of the quartet will fill in much needed positions at Milan, but what is most important to note, is that Fassone and Mirabelli are not done yet – this is only just the beginning! Donnarumma has, somewhat, forced management to relook at their priorities in the transfer market, with a goalkeeper now needed, but that won’t stop them from pursuing their initial targets. Andrea Conti is desperate to make the switch to Milanello from Atalanta, and while he represents Italy in Poland for the U21 European Championship, his agent is working hard to find an agreement between Milan and Antonio Percassi over a transfer fee. In addition, talks between Lazio and Torino for Lucas Biglia and Andrea Belotti respectively continue to take place. Now, the questions that remain are – Will Donnarumma be sold or will he see out the end of his contract? If he stays, will he be benched or should he still be allowed to play? Regardless of what happens, Milan will be fine without Donnarumma. Fans are truly entitled to feel hurt and disappointed in his decision, but his exit won’t affect the squad as massively as many fear. Fassone and Mirabelli have been working hard to build an exceptionally strong outfield team, and, they will ensure that whoever comes in to replace him, will be of the quality needed to do so. If the outfield team is strong and consistent, one shouldn’t have to fear over who goes in goal. Moreover, Alessandro Plizzari (17) is said to be as equally talented and technically gifted as his opposite number, and he could very well be the man to takeover should no one be bought during the transfer window. Lastly, management has not yet failed the club and there is a clear vision in place, which has left fans, rightfully, excited about the future. There is a project in place both on and off the field, and the club has been working tirelessly to ensure that their vision comes to fruition. Donnarumma may have been scouted to be a potential “bandiera” of the club, but if his choice is to go somewhere else, then Milan will continue with the good work they have been doing. His ruling is just a minor glitch to a much bigger plan that is in place at one of Europe’s most historic clubs. Players may leave, but Milan will stay forever.